Philip and Andrew Oliver are leaving UK games firm Rebellion. 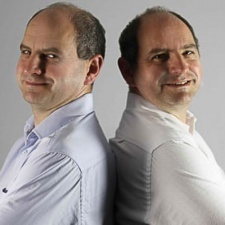 The duo joined the Oxford-based firm after it bought their studio Radiant Worlds as it drifted into stormy seas. This outfit was rebranded Rebellion Warwick in January 2018. The Oliver twins stuck around to ensure a smooth transition for the studio's Rebellion-owned future. During this time, the outpost has relocated to a new office at Warwick Technology Park and assisted with the development and publishing of titles including Strange Brigade. The Olivers are leaving to launch a consultancy business with more details promised in the near future.